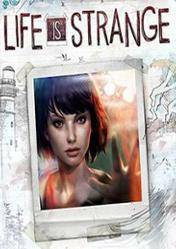 This product is a cd key of Life is strange Complete Season game, which is an episodic adventure game that consists of five chapters in which our hero must investigate a series of events in which our decisions have a direct impact on the course history. The game Life is strange Complete Season is a digital version, so after your purchase at any of the stores that are outlined below, you will receive a cd key for Life is strange Complete Season in your email, which you must introduce in the official download platform Steam to activate it. From Gocdkeys we offer a price comparison for the cd key of Life is strange Complete Season in the best stores of digital games available. The following stores appearing in the comparison have been and are periodically checked by our team, we guarantee they are 100% reliable. Also, you will see an assessment of the same based on feedback and experiences of our users to help you decide where to buy your Life is strange Complete Season cd key of the easiest and quickest way. Unravel the mystery behind all the dying animals. Find out who's involved and what part you are playing in all of that. Also try to get along with your personal and social life. Absolutely get this one! You have an amazing choice driven story where literary everything has a consequence and you can shape your own story. Totally worth getting the complete season as the story wouldn't be compete otherwise. I keep seeing this game get reviewed, and I keep hearing about it... the game sounds incredible!! THIS GAME IS AMAZING! - Life Is Strange - Episode 3 - Full Gameplay!